Packing for travel is nothing short of an art form. You can often tell the difference between first-time travellers and seasoned pros simply by a quick glance at the size of the packs on their backs. Quick rule of thumb: If the backpack is twice the size of the individual carrying it, then chances are they haven’t been on the road too long. Knowing what to leave at home and what to squeeze into the pack requires a good thinking about what the trip ahead of you holds in store. If you’re heading to Europe in Winter then coats and gloves are going to be essential. If you are heading to Southeast Asia packing twelve of your finest t-shirts is pointless when you can pick them up for a dollar a piece. Decisions like that are no-brainers but then there are those items that sit in the grey area of essential for some travellers and redundant for others. My fella refuses to leave home without his trusty penknife and he somehow finds a use for it every single day. Whereas in all my travels I have never once missed not carried one. 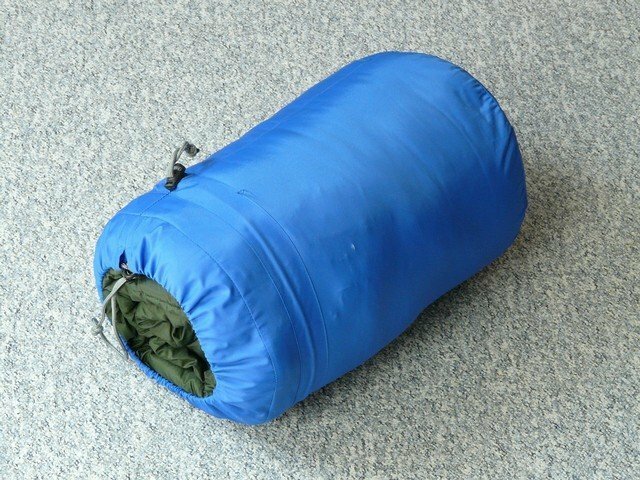 The sleeping bag is another such item. But sleeping bag comes in different types, sizes, and weight, check out this post about best backpacking sleeping bags to see what fits your needs or this best sleeping bag for cold weather. Many travellers look down upon such a bulky item, I for one never leave home without one. If you are on the fence about whether to bring your bag on the road with you, read on and I will give you 3 great reasons why it should make the cut. Travelling involves, well for want of a better word, a lot of travelling. More often than not comfort is not the main priority of long distance bus companies. Jamming in as many people as possible into the smallest space seems to take precedent. As a result, you will often spend much of the next 6-24 hours bumping around, banging your head off elbows and windows. This is where your sleeping bag can come to the rescue. Not only do they make great pillows for you to try and grab a few hours sleep between toilet breaks and breakdowns. Getting sufficient rest is important wherever you are and whatever you’re doing, remember that. They also perfect as shock absorbers. If your knee or hip, or face for that matter, is taking an almighty bashing from a random bit of bus engineering, wedge your sleeping bag in there and, hey presto! – sweet relief! Well, at least until that child behind you throws up! Travelling cheaply often involves forsaking direct flights for trips with one or two connections. 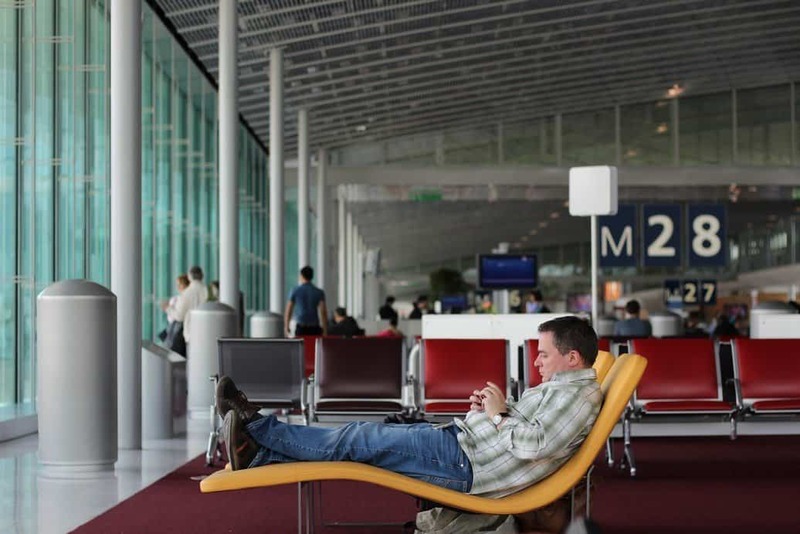 This can often mean spending relatively long periods of time in airports at some very antisocial times of the day and night. Now, I love airports. They are fascinating places for people watching. So many different colours and cultures coming together in harmony. But if you arrive at the airport at 2 am and you have another 6 hours until your connection, people watching is the last thing on your mind. Sleep is what you want. Find yourself a nice corner and laying out is all well and good, as a solo female traveller, however, you can sometimes feel a little vulnerable. At least I know I do. If you are worried about safety, make sure you have all your valuables secured. There are many backpacks out there that are an anti-theft bag to help you ease your worry. While it’s little more than a few centimetres of fabric, being cocooned in your bag is not only cosy and comfortable, it allows you some privacy and reduces the risk of you waking up to find some creep staring at you. I’m talking about your random moustache man in Kuala Lumpur, Terminal 2, June 2016! Ah, what could be better than sleeping on the beach, listening to the sound of the waves lick the shore and looking up at an infinite blanket of stars above you? Waking up not covered in mosquito and sand flea bites that’s what! I know it never happens to people in films and on tv but it definitely happened to me. 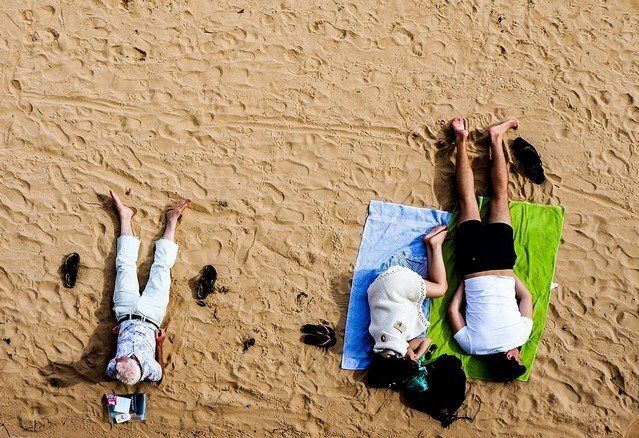 Sleeping on the beach is one of those beautiful, romantic things every traveller should do on their wanders. But ever since that fateful morning when I woke up covered in more bites than a Coney Island Hot Dog eating competition, I have always taken the added precaution of slipping into my sleeping bag before nodding off. You still get the sound of the surf and sight of the stars, only without the days of scratching. Win-win! Well there you have it, three great uses for your sleeping bag. 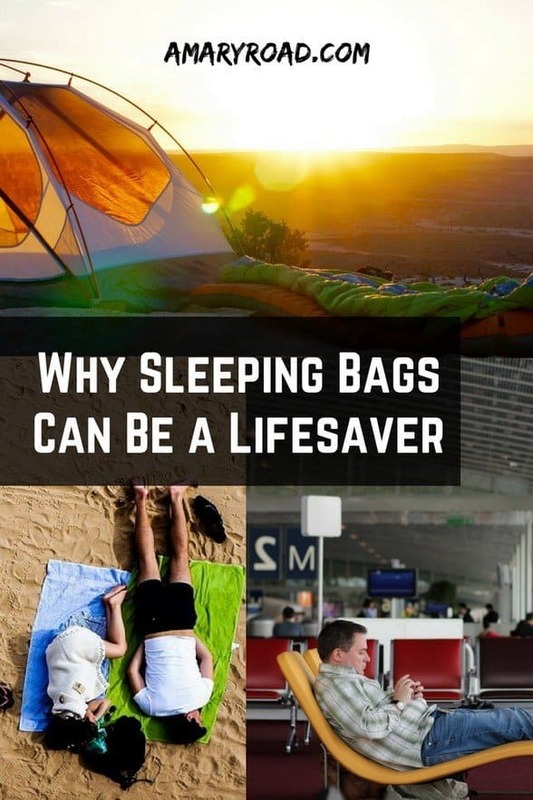 And remember the above is in addition to all the obvious situations where a sleeping bag comes in handy, like using them while camping, couchsurfing and in hostels with suspicious looking sheets. I for one never leave home without one in my pack, fortunately, these days you can get hold of super lightweight ones that don’t really take up that much space at all. 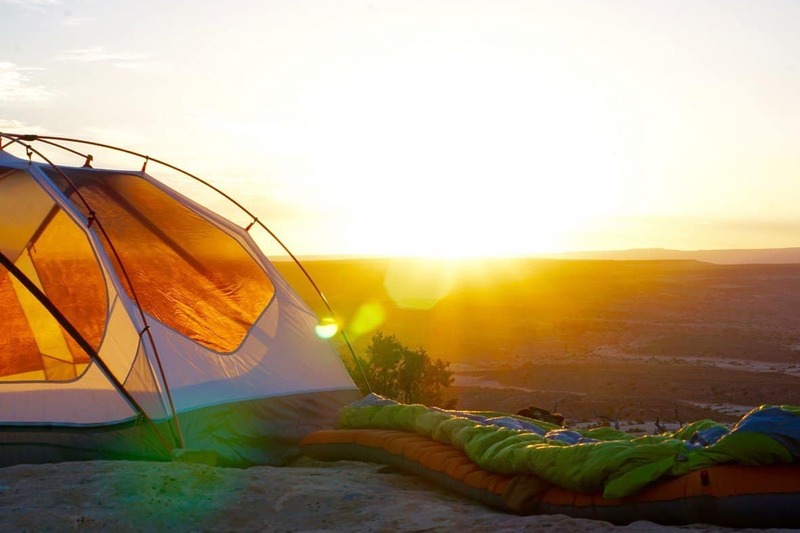 If you are travelling especially camping with your kids, as they are very unpredictable and sometimes cannot speak properly how they feel, don’t cheap out and get the best sleeping bag for kids to avoid any hassle or worse possible sickness. My top tip: Leave your makeup bag at home and take a sleeping bag instead. You’re not going to be stopping to replying your mascara when you’re climbing up that mountainside in time for sunrise are you? You might, however, use your sleeping bag, as all around you shiver, you can curl up cosy and wait for those first magical rays of light.